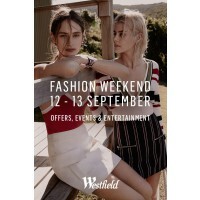 Fashion Weekend at your local Westfield! 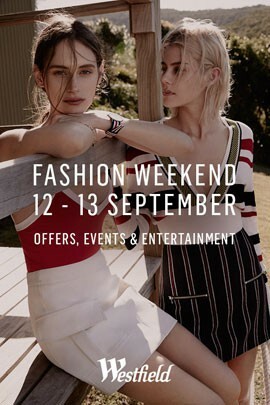 Expired Fashion Weekend at your local Westfield! Shop hundreds of special offers over two huge days. Spring into new season fashion at Westfield! This weekend, take advantage of really, really, ridiculously good looking deals on new season fashion, footwear and beauty. Brands include Cue, Bardot, Kookai, Nine West, Priceline, Country Road, Sportsgirl… the list goes on. Since there are so many deals (and we can’t just keep listing them here) make sure you visit the website of your local Westfield centre, and check them all out before you shop. Two big days, hundreds of sales. Fashion Weekend is coming to your local Westfield!